Bladder augmentation makes the bladder large enough to collect urine. When the bladder is too small, it can cause urine to leak out of the body or back up into the kidneys . 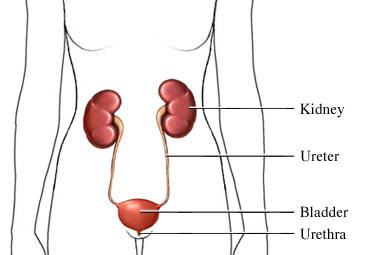 This can cause an infection in the urinary tract , causing harm to the kidneys. It’s also used when other care methods fail. Eat a low-fiber diet . Bladder augmentation. Boston Children’s Hospital website. Available at: http://www.childrenshospital.org/conditions-and-treatments/treatments/bladder-augmentation. Accessed June 13, 2018. Bladder augmentation (enlargement). Urology Care Foundation website. Available at: http://www.urologyhealth.org/urologic-conditions/bladder-augmentation-(enlargement). Accessed June 13, 2018. Bladder augmentation surgery FAQ. UCSF Benioff Children’s Hospital website. Available at: https://www.ucsfbenioffchildrens.org/education/bladder%5Faugmentation%5Fsurgery/index.html. Accessed June 13, 2018.